Today’s Wholesaler Wrap is one of our best yet, although we’ll forgive you if you’d rather look at photos of Brad Pitt on Google. Book​ ​Abu​ ​Dhabi​ ​with​ ​Excite​ ​Holidays​ ​and​ ​WIN! 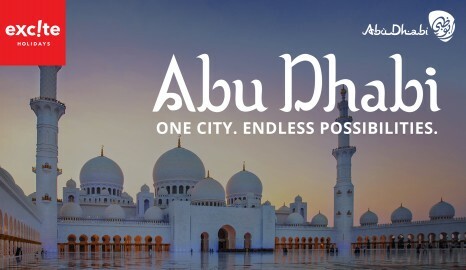 ​Excite​ ​Holidays,​ ​in​ ​conjunction​ ​with​ ​Abu​ ​Dhabi​ ​Tourism​ ​&​ ​Culture,​ ​are​ ​excited​ ​to​ announce​ ​the launch​ ​of​ ​their​ ​new​ ​campaign​ ‘Abu Dhabi: One City. Endless Possibilities.’,​ ​which​ ​includes​​a fantastic​ ​prize​ ​and​ ​rewards​ ​point​ ​incentive. For​ ​two​ ​weeks,​ ​they​ ​will​ ​showcase​ ​to​ ​agents​ ​all​ ​the​ ​incredible​ ​jaw-dropping​ ​experiences awaiting​ ​travellers​ ​in​ ​this​ ​unique​ ​Arabian​ ​destination,​ ​whilst​ ​giving​ ​agents​ ​the​ ​chance​ ​to​ WIN​ ​a once-in-a-lifetime​ ​trip​ ​to​ ​Abu​ ​Dhabi. A​ ​city​ ​where​ ​history​ ​meets​ ​luxurious​ ​modernity,​ ​Abu​ ​Dhabi​ ​is​ ​unlike​ ​any​ ​other​ ​city​ ​in​ ​the​ ​world. Boasting​ ​the​ ​world’s​ ​largest​ ​chandelier,​ ​24K​ ​gold-flake​ ​cappuccinos​ ​and​ ​a​ ​vending​ machine​ ​that dispenses​ ​gold​ ​bullion,​ ​Abu​ ​Dhabi​ ​is​ ​a​ ​city​ ​spectacle​ ​that​ ​you​ ​don’t​ ​want​ ​to​ miss. World Expeditions launches new website – please visit soon! Adventure travel specialist World Expeditions has unveiled a new-look, easy-to-navigate website, featuring a sleek, modern design, an enhanced search facility, expanded trip pages and a straightforward booking process. Croatia is growing in popularity as a summer tourist destination with its beautiful beaches, picturesque towns and stunning inland forests. Despite the growing number of people visiting every summer, there are still a number of islands that have not been overrun by tourism and hold their rustic charm. 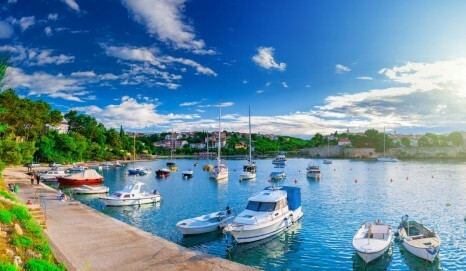 Tempo Cruise Croatia offer a number of wonderful itineraries that will take you to some of the most celebrated or the little known islands of the coastline. 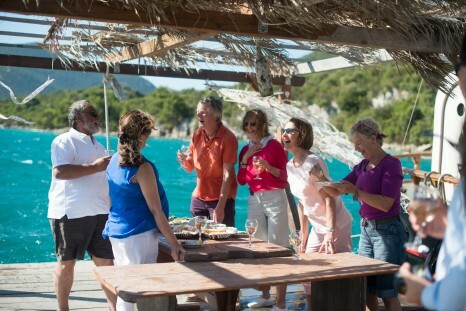 Tempo Holidays have special interest cruises for island hopping in Croatia or for something extra special, enjoy a Tempo Signature Range cruise. If you would rather hop around the islands, Tempo Holidays have 10 per cent off selected island hopping, with prices for the South Adriatic Island Hopping starting at A$995//NZ$1060 per person for eight days. Quark Expeditions is proud to announce the highly anticipated Legendary Snow Hill: March to the Emperor Penguins voyage. Exclusive to Quark, this remarkably rare opportunity to visit the Emperor penguin colony at Snow Hill Island is expedition travel in its truest form. Emperor penguins live a life only few animals could manage, but being the largest and strongest of its species, they are up for the challenges the pilgrimage brings every year. Quark visits the penguin colony early in the season, a perfect opportunity to see the chicks when they are still young and grouped together in communal daycares. There was a double celebration last night with the TIME network of mentors, mentees, program alumni and sponsors generously hosted by The Travel Corporation at Travel House in Bondi Junction. The industry’s acclaimed mentoring organisation acknowledged a pair of milestones as the 25th group of mentees graduated, and the ten new mentees who make up program intake number 28 were introduced to the network. 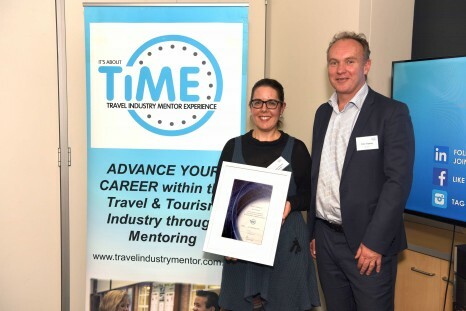 Guest speaker at the event was Alexandra O‘Connor – TIME Mentor and Insight Vacations Managing Director Australia, who presented on behalf of TIME sponsor, The Travel Corporation. Alexandra’s speech touched on the idea that a program like TIME takes its participants out of the echo chambers within which they work, exposing them to new ideas, bringing clarity and purpose. Earn an extra $130 in two minutes! Time is precious! So make the most of it. Book a tour with Wendy Wu Tours new trade website in under two minutes, and you’ll earn up to an additional $130 per booking on top of your commission. Following the launch of their brand new trade booking website, agents are encouraged to register at wendywutours.com.au/agents, where the intuitive online booking system makes it easier than ever before to book your clients’ trip. You could even start it at work, and finish it on your phone on the way home – it’s that simple. By registering online, you’ll be invited to join Wendy Wu Tours’ brand new points-based reward programme – Bambu Club. In addition to earning points for every single booking, you can earn Bambu Points for window displays, completing online training and much much more, so there’s no limit to the rewards, and it’s accessible even to those who’ve never made a booking with Wendy Wu Tours before. Once you’ve reached 250 points, you’ll be able to order your Bambu Card, and start spending! Your Bambu Card will give you the flexibility to choose whatever you like, from a flat screen TV, to a charity donation or even your weekly shop! 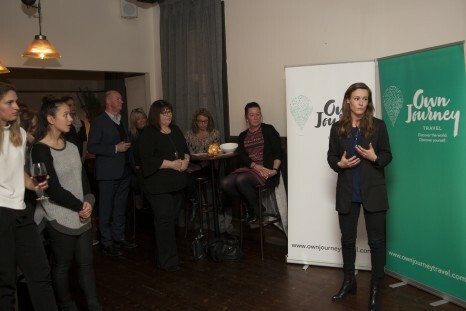 A new travel company and concept, Own Journey Travel, was launched at the Fitzroy Town Hall Hotel in Melbourne last week with the help of AFLW star Alicia Eva. Own Journey Travel’s mission is to invest in young people’s ability to manage life transitions by enhancing their mental health and emotional intelligence through organised small group tours in Cambodia from January 2018. Tours integrate a unique personal development program based upon positive psychology principles, with young travellers aged 18-23 enjoying five workshops exploring concepts such as empathy, gratitude, resilience, mindfulness and authenticity across ten day tours of Cambodia. Founded by a former elite footballer and sports administrator turned commentator, Chyloe Kurdas, Own Journey Travel is based on her experiences over two decades in building award winning high performance programs enhancing young women’s athletic and personal capacities. Luna2 has partnered with Bestival Bali, one of the UK’s hottest festivals, to bring its guests the ultimate music-lover’s package. Get festival-ready, and turn up the Lunatunes as the festival hits Bali’s shores on 30 September and 1 October 2017. Packages start from AUD$380 per night, per studio room and includes a welcome cocktail upon arrival; VIP transfers to the festival with drinks and Lunatunes on board; “recovery” brunch; plus, a much-needed late check-out. Package is based on a two-night minimum stay for two people with travel to be taken between 25 September to 3 October 2017. Terms and conditions apply. The award-winning leader in premium escorted journeys, Insight Vacations, has launched its 2018 Europe & Britain collection – giving travel agents and guests the chance to take advantage of one of the 12 reimagined European Discoveries with a $299 return air deal (including taxes), or a $599 return air deal (including taxes) with all other 2018 Europe or Britain itineraries. Exploring multiple countries and brimming with unforgettable cities, sights, food and attractions – European Discoveries are the ultimate way for first-time visitors to immerse themselves in the best that Europe and Britain have to offer, ranging from 9 to 19 days. These journeys allow guests to unlock the magic of travel and discover the highlights of each country with a very personal, stylish and seamless experience from iconic cities to trendy locales including the culinary hotspot, San Sebastien and the five coastal villages of Cinque Terre. The new collection also includes 70 Insight Experiences, 100 unforgettable guided vacations, and four styles of distinctive journeys; Regional Journeys, Country Roads and Easy Pace. Guests enjoy stress-free travel, at hand-picked hotels, providing exceptional service and located in desirable locations, such as the elegant Splendid Venice-Starhotels Collezione boutique hotel in the heart of the island, a five-minute stroll to San Marco Square and the Rialto Bridge. Just 240km from the Arctic Circle, Greenland‘s capital Nuuk is nestled at the base of soaring twin peaks, with its brightly coloured buildings dotting the Nuuk fjord’s shore. Charming and comfortable, Nuuk has museums and restaurants to offer, but by far its greatest attraction is the wonderful array of outdoor adventures! No matter the season, there is always something thrilling to do in Nuuk to take in the serenity of the natural surrounds. Nuuk, a unique city – A great way to see the picturesque Nuuk is by bike – there are bikes for hire in the city centre. On your two wheels, ride your way around the sites of Nuuk, including the Nuuk Cathedral built in 1849 with its red spire dominating the cityscape and the statue of Hans Egede above the church. If you take a peek inside the Cathedral, you can’t help but notice two large brass candelabras, gifts from the Church of Norway. Quassussuaq and Ukkusissaq Mountains – The twin peaks that loom above Nuuk are a wonderful place for hiking in the summertime. On a Hurtigruten expedition, you can add on a 8km guided walk along Quassussuaq and admire the surrounding fauna. Alternatively, there are many hiking paths through the mountains and detailed maps available to forge your own way. Surrounded by flourishing greenery, wander your way through the mountains in the summer and spring months and behold the incredible vistas over the Nuuk fjord and the city below. Nuuk Fjord – Nuuk fjord is the second largest in the world and perfect for exploring by boat or kayak. With many inlets and islands open to exploration, cascading waterfalls are common place. For those keen on fishing, there is fantastic angling for Arctic char, while the fjord waters are also home to large cod and redfish. Qornok Fishing Village – Qornok fishing village is a quaint abandoned fishing town located on a small island in Nuuk. Sail your way across from Nuuk and enjoy the wind in your hair and then picnic on the island. Abandoned in the 1970s when the fishing industry shut down, the town is now used as a little nature resort for locals in the summertime. Only an hour and a half from Nuuk city, this is an easy and enjoyable day trip.